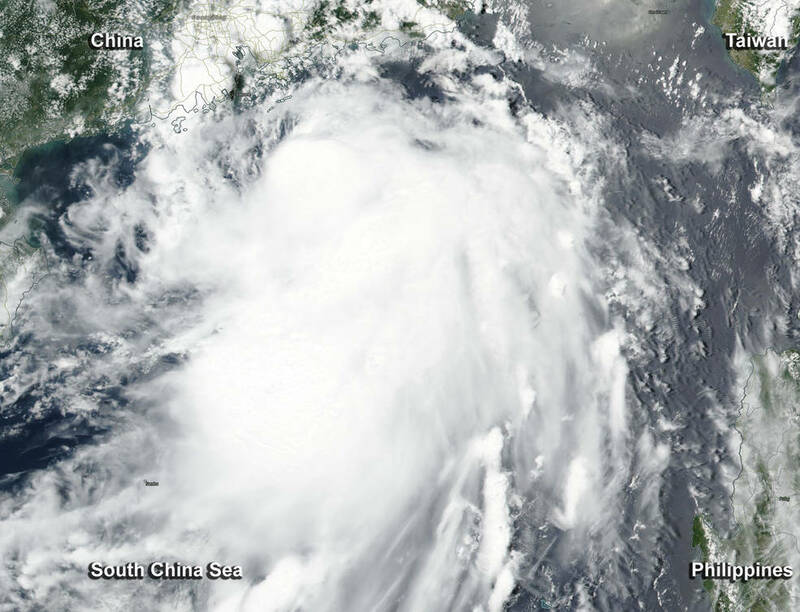 More than 120 flights had been delayed or canceled and train services had been suspended in the southern Chinese province of Guangdong as it braced for Typhoon Merbok's landfall late Monday. Airport authorities reported that 72 flights scheduled to depart from the city of Shenzhen had been canceled as of 4 p.m. Monday. At nearby Guangzhou airport, 55 flights were delayed for more than one hour as of 5:20 p.m. Monday. Several inter-city trains between Shenzhen and Guangzhou had been suspended. Others were ordered to reduce speeds. The typhoon was reduced to a tropical storm after the landfall, packing maximum wind of 23 meters per second at its eye. Heavy rain was forecast for the region in the next two days. In Shenzhen, the local government prepared 480 shelters for people in need, stocked with food and other necessities. Guangdong is more vulnerable as parts had already been lashed by a round of heavy rainfall in early June, local officials said. Typhoons are common in China's southern and southeastern coastal regions in summer. "Even if we experience many storms, we must not be lax in preparation," said Xu Shuihua, an official in the city of Huizhou. Xu said he had cautioned the elderly to stay indoors. In Huizhou, 268 boats had been docked as of 5 p.m. Monday and ferry services had been suspended.